If you are looking for a relaxing travel package for yourself, your friends or with your family, we have got the perfect Eastern Delight Tour Package. In Darjeeling visit and explore the Tiger Hill, Ghoom Monastery & Batasia Loop. Also, enjoy trekking and other adventure activities. 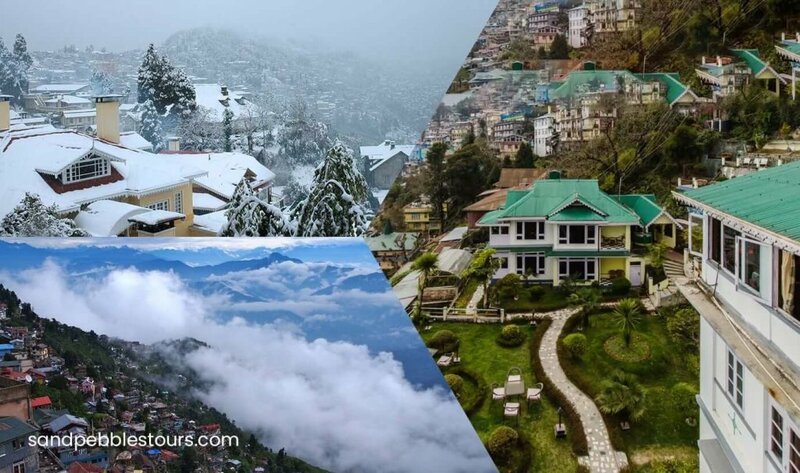 Gangtok is a popular hill destination in the northeastern region of India where you can view the natural beauty dotted with lakes, mountains and especially catch a glimpse of the majestic Kanchenjunga which is the third highest peak in the world. The Eastern Delight Tour Package will give you an opportunity to travel through the unexplored regions and admire the natural wonders. Gangtok is now emerging as a main point of Tibetology. People interested in Tibetan Buddhism culture visit this town which has a number of famous monasteries and Tibetan institutions of learning. Visit the Research Institute of Tibetology exploring Tibetan culture with our Eastern Delight Tour Package. On arrival at NJP Railway Station / (IXB) Bagdogra Airport, (500Ft / 150Mts) will be received by our office executive who will assist you to board your vehicle to Gangtok (5500 Ft /1677 Mts, 130 Kms / 04 to 05 Hrs). Check-in and overnight at Hotel. After breakfast in the morning, start for excursion to Tshangu Lake – situated at a height of 12400 Ft / 3780 Mts / 43Kms in 3Hrs one way, with an average depth of 50 ft. The cool water of the Lake is perfectly attuned with the scenic beauty around. Back to Gangtok and Overnight at Hotel. In the morning go for a half day sightseeing covering Jhakri Water Falls (04 hrs) along with Droul Chorthen, Research Institute of Tibetology, Directorate of Handicraft & Handloom (Closed on Sunday), Flower Show. Afternoon transfer to Darjeeling (7380 Ft / 2250 Mts, 115 Kms / 05 to 06 Hrs). Overnight at Hotel. Early morning tour to Tiger Hills (8364 Ft / 2550 Mts at around 4 AM) to view sunrise over Kanchendzonga Peak (subject to clear weather). On way back visit Ghoom Monastery, Batasia Loop. After breakfast go for a half-day sight seeing of Japanese Temple, Peace pagoda, Padmaja Naidu Himalayan Zoological Park & Himalayan Mountaineering Institute (Closed on Thursday), Tenzing & Gombu Rock, Tibetan Refugee Self-Help Centre (Closed on Sunday) & Tea Estate. Overnight at Hotel. After breakfast proceeds to NJP Railway Station / (IXB) Bagdogra Airport (100 Kms / 03 to 04 Hrs) for your onward connection.